The 98 point 2013 vintage (Robert Parker, with 97 points from Wine Spectator) is the best Napa Cabernet Sauvignon vintage since 1997 (which earned a chart-topping 99 point score). 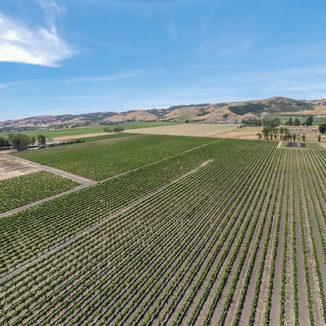 Napa Cabs from the 2013 vintage are in increasingly short supply. Lucky for you, Operative, that our deep roots in the wine trade give us special access to this coveted vintage. Imagine attending a blind tasting of Rutherford Cabernets with fellow discerning collectors. Your friends love to impress, and you’re confident that most of the bottles that evening will be of ‘cult’ status, often costing an arm and a leg through mailing lists with waiting lists! Now, how awesome would it be to bring a winning bottle that no one ever heard of, that has the potential to steal the show, and at a price that won’t break the bank? Impossible, we hear you say? Well, read on. Location, location, location. Fruit, fruit, fruit. These are what dictate quality in top Napa Cabernet. The vineyards this gem is made from neighbor those of hugely scored Cabernets of global fame whose bottle costs appear like by the case pricing. Impeccable viticulture and deft winemaking once again prove that greatness can be achieved for less. A bright, deep ruby greets the eyes with a narrow rim fading to a purple glow. The nose offers a vigorous burst of blackberry, cocoa powder, sage, smoke, and pencil lead. A first sip reveals layers of boysenberry and cassis, leading to black cherry and tobacco-laced midpalate. The finish builds towards a towering crescendo of velvety tannins enhanced by vibrancy, complexity and dusty nuances of Rutherford terroir. The classy finish lingers long with pedigree found only in top Napa Cabernets, yearning to be enjoyed with truffle mashed potatoes and a medium rare ribeye sprinkled with freshly cracked black pepper. 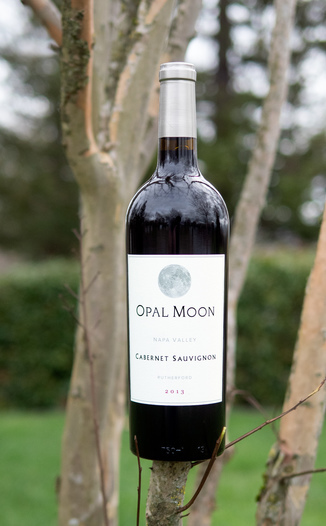 Opal Moon is owned by the Bonneau family and made by the 3rd generation vintner John Bambury. We were quite frankly moonstruck with the quality of this Cabernet from the highly acclaimed 2013 vintage that rated a whopping 98 points by none other than Robert Parker. It’s masterfully crafted in a style that falls between modern, ripe Napa counterparts and a Bordeaux from an outstanding harvest. 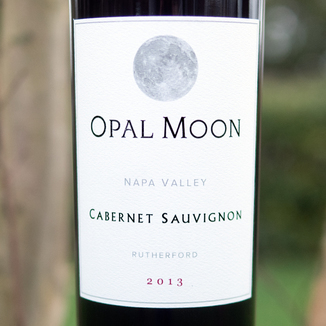 With the 50th anniversary of the historic lunar landing fast approaching, this would be the perfect “trip to an opal moon and back” red to celebrate a momentous year with. 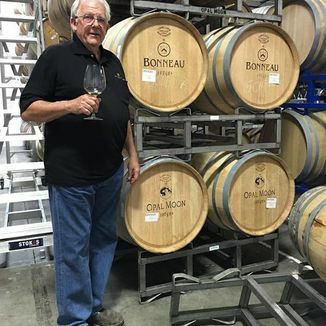 While with 5+ years on the vintage offering perfect drinkability, it also boasts structural reserve to cellar effortlessly for decades to come. There were only a few barrels made and we were able to secure exclusive access to a limited amount. Our allocation is limited, so please be sure to grab some - before your fellow Operatives clean us out! A bright, deep ruby greets the eyes with a narrow rim fading to a purple glow. Blackberry, cocoa powder, sage, smoke, and pencil lead. Boysenberry, cassis, black cherry, and tobacco. Velvety tannins enhanced by vibrancy, complexity, and dusty nuances of Rutherford terroir. Truffle mashed potatoes and a medium rare ribeye sprinkled with freshly cracked black pepper.